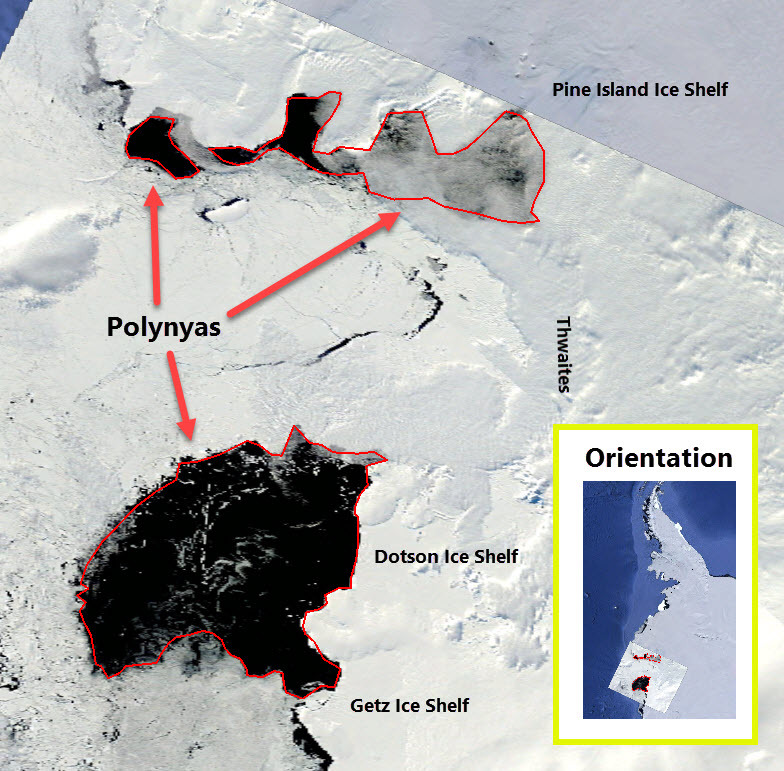 I was interested in how long the polynya I blogged about yesterday had existed. I made a gif of the previous months sea ice data. The sea ice extent in Pine Island Bay 11 September to 10 October 2016. Data from DMSP SSMI. The development of the polynya can be seen in the growth of the dark regions. You can see that the polynya in the centre of the picture can be seen from the very beginning. This is forming in front of the Dotson Ice Shelf - and from the scale bar you can see it is big. This polynya really starts to develop as open water around 5 October 2016. The coastal polynya on the northern land boundary appear in mid September - and develop throughout the record. The image below was in my previous post and it shows the three polynya from a MODIS image on 9 October 2016. Next diversion will be a area of open water / time plot. Posted in Science. Tags: Amundsen Sea, Amundsen Sea Embayment, antarctica, Dotson Ice Shelf, Pine Island, polynya, satellite, sea ice on October 12, 2016 by Mark Brandon.